How did this happen? Well, in his chapter on colonies, Smith had proposed both a scheme for the gradual devolution of the British empire and a theoretical scheme for imperial federation. In response to the growing global popularity of protectionism and imperial expansionism, the rapid development of new tools of globalization, and the frequent onset of economic downturns throughout the late Victorian and Edwardian eras, turn-of-the-century protectionist proponents of British imperial federation formed into a formidable opposition to England’s prevailing free trade orthodoxy — Cobdenism — a free trade ideology which famously expanded upon the anti-imperial dimensions of the Wealth of Nations. Dueling Smithian disciplines thus arose. 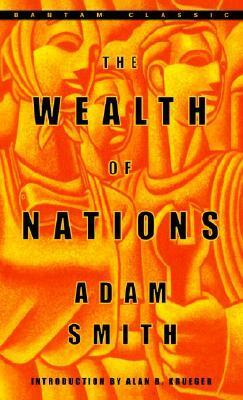 On the one hand, Adam Smith’s nineteenth and early twentieth-century Cobdenite adherents used his theories to argue for free trade, non-interventionism, and empire “on the cheap”. On the other, various proponents of imperial federation throughout the British World sought to use Smith’s theories to overturn the predominant Cobdenite hands-off imperial approach and instead, with a firm grip, bring the empire closer than ever before, either politically, commercially, militarily, or some combination of the three. As discussed in a new Talking Empire podcast and as explored in my March 2014 Historical Journal article, “Adam Smith as Advocate of Empire, c. 1870-1932,” by the turn of the century many advocates for imperial federation were also turning to Smith for their intellectual inspiration. Adam Smith thus became an advocate of empire, and his advocacy left an indelible intellectual mark upon the burgeoning British imperial crisis. Be sure to listen to the discussion of “Adam Smith and Empire”, part of the Centre for Imperial & Global History’s Talking Empire podcast series, hosted by Professor Richard Toye.